2004-2008 Ford F150 FX4/FX2 Gauge Face! 2007-2015 Jeep Wrangler Gauge Faces! 2013-2015 Scion FR-S and Subaru BRZ Gauge Faces! 2012-2014 Chevy Sonic Gauge Face! 2009-2013 Toyota Corolla Gauge Face! 2004-2008 Ford F150 King Ranch-Harley Davidson-Lariat Gauge Face! 2008-2012 Subaru Impreza WRX Gauge Face! 2011-2015 Ford Focus Gauge Face! 2011-2015 Scion tC Gauge Faces! 2004-2008 Ford F150 XLT Gauge Faces! 2010-2012 Mustang GT Gauge Face! 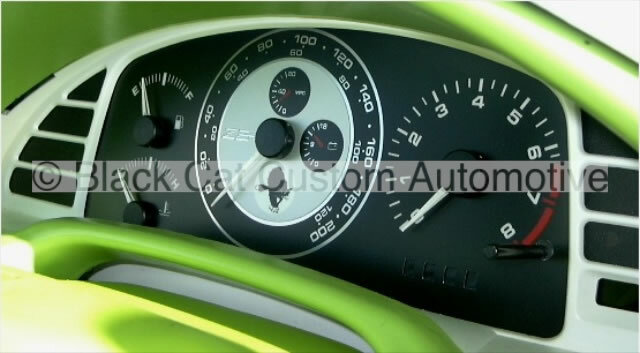 Black Cat Custom is the original custom gauge fabricator. Our products are made to last and will make your ride stand out from all the rest. We offer the widest range of custom effects for import and domestic cars and trucks, and specialize in one-offs for those special vehicles that other fabricators can’t be bothered to do. Custom design possibilities are endless, from white face gauges to a rainbow of colors available, as well as special finishes and unlimited custom graphics. Our gauge faces replace the factory face and are not stickers or overlays. Canadian orders are shipped from Canada, so no cross border fees! International customers please visit our Ordering Info page for details. 1-866-943-8641 Have questions? Check out our FAQ Page!